WARSAW – Emma Bohnenkamper says it still feels like she will be back again next year competing for Warsaw. There are three WCHS coaches who would truly love if that were the case. Senior Bohnenkamper, a three-sport athlete, is set to wear the orange and black uniform for the final time in her illustrious high school athletic career. 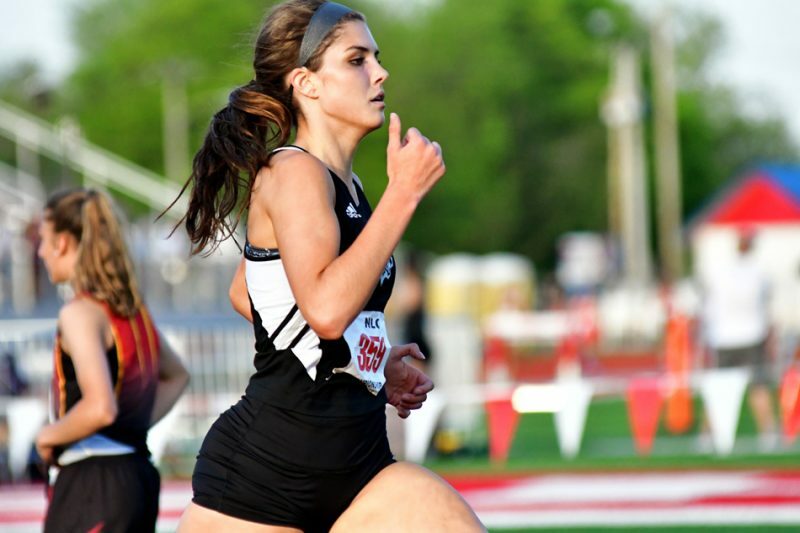 Bohnenkamper will compete in the 1,600-meter run at the State Finals set for Friday evening on the Indiana University campus in Bloomington. The classy Warsaw distance runner will ironically enough run her last prep race on the campus she plans to call home for her college experience. “It hasn’t really hit me yet that this is my last race,” said Bohnenkamper in a phone interview Wednesday. “I still feel like I’m going to be on the team again next year. Bohnenkamper punched her ticket to State by winning the 1,600 at the Kokomo Regional last week. Classmate Mia Beckham was second in the race after she had won at the Warsaw Sectional the prior week with Bohnenkamper second. Bohnenkamper is seeded 14th in the 1,600 with her time of 5:09.87. Bohnenkamper has helped the track team continue its tradition of excellence. The ladies won the NLC title for the 13th straight year this season, captured its 12th consecutive sectional crown and won the regional for the seventh straight season. Bohnenkamper was an alternate on the 4 X 800 relay team at the State Finals a year ago. She competed on the 4 X 800 relay team as a sophomore in 2016 that placed ninth at State. She was also second at the cross country sectional last fall and fourth at the regional as Warsaw won team titles at both. Bohnenkamper also had a fine senior season on the hardwood for first-year coach Lenny Krebs. She helped the Warsaw girls basketball team go 15-9 overall and 5-2 in the NLC a year after the team lost six seniors, including all five starters from the previous season. Bohnenkamper, who plans to study to become a vet at IU, earned the WCHS Female Career Athlete Award last week. The prestigious honor goes to the female with the most varsity letters in her career. Bohnenkamper, who is the daughter of Kyle and Jenny. also received a Pete Thorn Award (for earning letters in three varsity sports as a senior) and a WCHS Girls Basketball Award (for her contributions off the court) last week. She is set to graduate on June 8. “It’s going to be bittersweet,” said Bohnenkamper of ending her athletic career come Friday night. “I’ve made so many friendships with teammates and coaches. But, I’m starting something new after this and that’s exciting too. No more than her Warsaw coaches and teammates will miss her though that’s for sure.